While a small number of Facebook and Google users have, in the past, been warned that their accounts may have been hacked into by something called a “state-sponsored actor”, users of social media platform Twitter have largely escaped unscathed by the phenomenon. Or at least they haven’t been told about it. 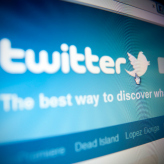 Until now, that is, for earlier in December Twitter contacted a group of users who may also have been targeted.